We are committed to delivering products on time, every time. We are happy to source a specific product for you if we don’t have it in stock. APEC is committed to high levels of personalised customer service and is accredited to ISO-9001 as a manufacturer, ensuring the quality of our business processes and products. APEC Cables is proudly ISO accredited. International standardisation is a classification and quality control system that helps to ensure that any wire and cable products we produce are industry recognised. conform to International Standards, a state of industry-wide standardization exists. terminology and in the provision of services. In other words, ISO standardisation provides a regulated, quality control system, which makes it easy to identify and rectify any issues with products. It ensures that APEC Cables products are produced to a high standard and are made of quality materials. APEC Cables is also PCP accredited. 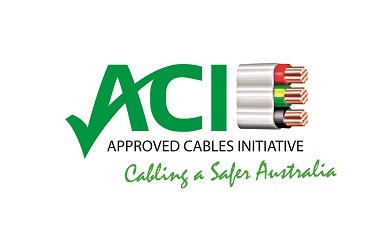 APEC Cables conforms to all of the statutory and regulatory requirements to the modus operandi of companies in Australia. Innovation and continuous improvement is crucial to our ongoing success. We are always looking for new and improved ways to help our customers. So, if you have a brilliant idea that would make your life (or ours) easier, please feel free to contact us. We can guarantee we will listen. We are a long-term player in the Australian market with a reputation for excellent service and products, and will continue to deliver this philosophy and approach. Copyright 2019 © APEC. All Rights Reserved.